AllofMP3 ready to make comeback? Is AllofMP3.com about to relaunch? Although solid details have not yet emerged, AllofMP3 has officially announced that it plans on making a comeback. 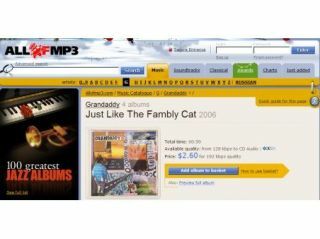 Upon its disappearance in July, AllofMP3 was reportedly replaced by MP3Sparks.com. The website allowed AllofMP3 users to use the same login username and password, and looked ironically similar to the old AllofMP3 design. Although no definitive word was given, most believed MP3Sparks was owned by the same folks who ran AllofMP3. But with the original AllofMP3 site now back up and running (albeit with only a few blog entries), some are wondering what the fate of the sites really is. In response, AllofMP3 executives posted a blog entry, explaining only that, "The service will be resumed in the foreseeable future. We are doing our best at the moment to ensure that all our users can use their accounts, top up balance and order music." Interestingly enough, the same entry was made last month, but little has been changed since its publication. Although many believe AllofMP3 is an illegal enterprise, the company is still trying to win the public relations battle by claiming that it sets aside a portion of its revenues for artists. According to the company, the IFPI and RIAA have refused payment, claiming an acceptance would be an endorsement of the company's practices. The decision on the part of the site executives to relaunch the site may prove to be an issue for AllofMP3. One of the most prominent issues the company must overcome is the US insistence on shutting the site down before Russia is allowed into the World Trade Organisation. As of this writing, no definitive launch date has been given.